Which Burns More Calories: Running or Dance Routines? Running several days a week burns calories and improves your health. You already know that the key to improving your physique is burning calories, but picking an exercise that burns calories quickly is important -- especially if you're short on time and want to bid your love handles adieu. Running and dancing are simple aerobic exercises that get your body moving, but running is a faster way to burn calories to help you drop those unwanted pounds of fat. Your weight and the length and intensity of your run are the factors that play a role in determining how many calories you'll burn while pounding the pavement. 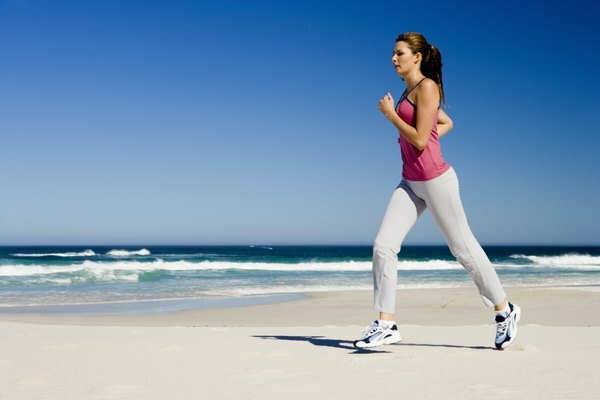 According to Harvard Medical School, a 155-pound person will burn 298 calories during a half-hour run at 5 mph. The same person can expect to burn 372 calories during a half-hour run at 6 mph and 465 calories during a 30-minute run at 7.5 mph. In addition to your weight and the length and intensity of your dance workout, the type of dance you choose impacts the number of calories you'll burn. Dancing doesn't burn calories quite as quickly as running, but you can still burn a couple hundred calories during your dance workout. Slow dances such as the waltz and foxtrot will burn 112 calories per 30 minutes for someone who weighs 155 pounds. The same person will burn 205 calories in 30 minutes of ballroom or square dancing and 223 calories in 30 minutes of ballet or twist dancing. Tracking the calories in your workout is more than just something to keep your mind occupied. The calories you burn are directly related to the fat you lose through exercise. When you burn 3,500 more calories than you eat and drink, you'll lose 1 pound of fat. You're constantly burning calories -- even when you're inactive -- but if fat loss is your mission, exercising daily is an effective way help reach the goal of creating a 3,500-calorie deficit. Regardless of which exercise you choose to add to your workout routine, running and dancing are each aerobic exercises that provide a number of health benefits beyond burning calories. 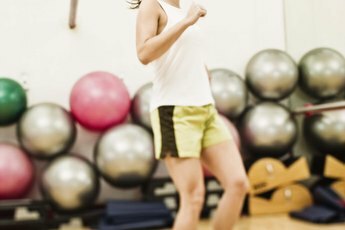 MayoClinic.com notes that aerobic exercise's benefits include regulating your weight, improving your cardiovascular fitness, boosting your stamina, improving your mood and helping you avoid health issues such as heart disease. The U.S. Department of Health and Human Services advises getting at least 150 minutes of moderate-intensity aerobic exercise per week. Can Tahitian Dancing Help Trim the Waist? How Fast Do You Lose a Pant Size From Running? 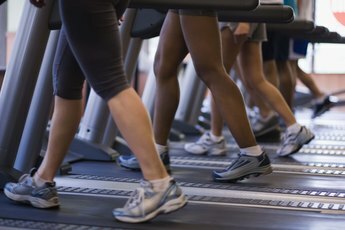 Can You Lose Pounds by Doing the Treadmill for 90 Minutes Every Day? Do Oblique Exercises Help Slim Down Your Waistline? How Many Calories Are Burned With Dance Workouts?